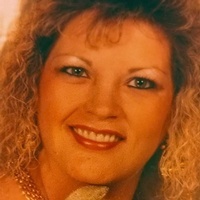 Lisa K. Ezell, 54 died Sunday, September 2, 2018 at her residence. A lifetime resident of Grandview, Lisa was the daughter of the late James Ezell and Carolyn Ferguson Woody. She was a homemaker and of the Baptist faith. Lisa was preceded in death by her sister Joy Swafford. She is survived by her daughter Stacia (Edsel) Parnell of Evensville, stepfather Burchard Woody of Spring City, brother Michael Hale of Spring City, sisters Kim Ezell and Angie Woody both of Spring City, companion Tommy Garrett of Grandview, grandchildren Evan, Elliot, Olivia and Ethan Parnell and Morgan and Chase Lewis, several nieces and nephews and her dog “Sweetpea”. Funeral services are Thursday, September 6, 2018 at 6:00 pm in the chapel of Vaughn Funeral Home with Rev. Clyde Fitzgeraldofficiating. The family will receive friends Thursday from 4:00 pm to 6:00 pm at Vaughn Funeral Home. Vaughn Funeral Home, Spring City, Tennessee, is in charge of arrangements. Please share your condolences and memories of Lisa on our website www.vaughn-funeral-home.com.